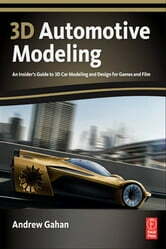 Master techniques from top automotive designers and world-class game developers with this insider's guide to designing and modeling 3D vehicles. With techniques demonstrated in 3ds Max, Maya, XSI, and Photoshop, "3D Automotive Modeling" starts with a fantastic series of hot concept designs and continues by offering a full hands-on modeling tutorial for each. Some of the very best designers and modelers from across the globe take you through their processes step-by-step, giving you the tips, tricks, and short-cuts that true professionals use. 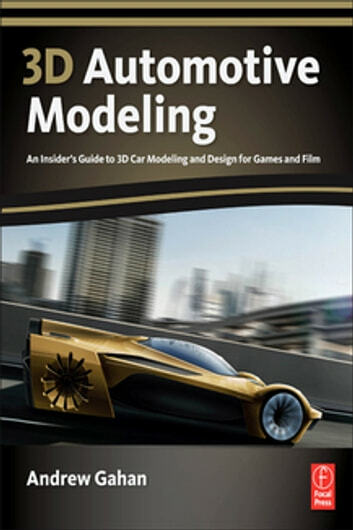 "3D Automotive Modeling" features tutorials from Honda, Toyota, and Mercedes-Benz designers, as well as modelers from Sony Computer Entertainment, Lucas Arts, and Simbin-artists who have worked on some of the biggest games in the industry, including the MotorStorm series. You will get: insider tips from a team of noted professionals, led by author Andrew Gahan, part of the award-winning game team behind the PlayStation 3 smash hit series, MotorStorm; all tutorial files, models, textures, blueprints, and concept images on the associated web site; and, access to a vibrant forum on the web site where you can discuss and share your work and get feedback from the pros.